After you have clicked the “Load Balancer”, click the “Create” button. 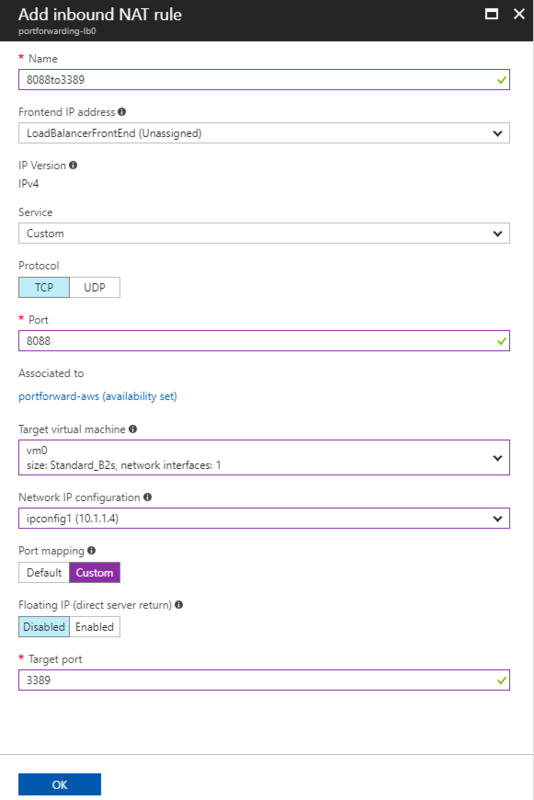 Azure will take a few minutes to create the Load Balancer. In order to connect our newly created load balancer to our virtual machines, we need to create a so-called “Backend Pool”. To do so click on your load balancer to open its configuration blade. Finally, click the “OK” button to save the Backend Pool. Now repeat this step; but this time choose VM1 instead of VM0. Now our load balancer is connected to our virtual machine and we now need to configure rules for redirecting network traffic. Now repeat this step, but this time choose VM1 instead of VM0 . skip the wizard and configure components manually so I choose to check the box and choose next. That reduces our implementation effort, which will in turn reduce the overall costs to the client.